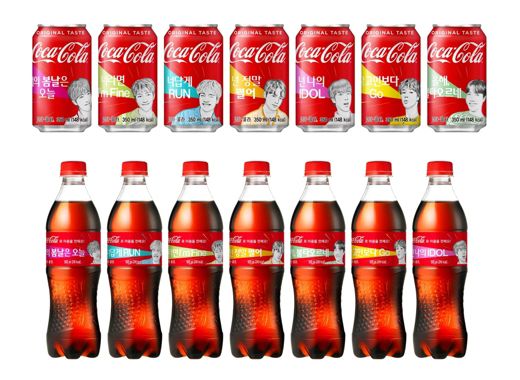 Coca-Cola Beverage Co., the Korean sales unit of Coca-Cola Company, on Monday unveiled this year’s special edition designed in collaboration with K-pop superstar BTS in South Korea. It is the company’s fifth storytelling special package for New Year to appeal to more consumers in Korea by featuring the hottest celebrity of the time, according to the company. 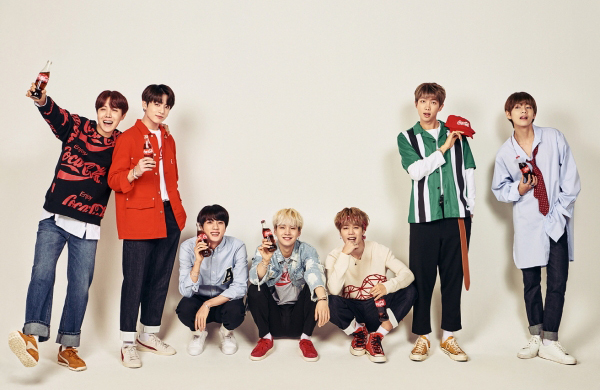 Early this year, Coca-Cola Beverage launched a winter advertising campaign starring South Korean actor Park Bo-gum with BTS’s song in the background to introduce its all-new bottles that carry inspiring BTS-themed messages. “BTS songs are ideal to give encouraging messages, which is why we picked the K-pop icon as the New Year model,” said an official at Coca-Cola Beverage.